Apparently, spending a few weeks travelling through South America eating your own body weight in alfajores, admiring the outstanding colonial architecture, and relishing in the pristine wilderness, is just not enough for some people. Some people, aren’t happy simply admiring the Andes… they have to conquer them too. Hikers flock to South America like moths to a flame, and who could blame them? This stupendous continent of rugged landscapes and vertiginous mountains is a trekker’s paradise, one that just itches to be conquered on foot. Sure, the alfajores are delicious, the llamas fluffy and the Plaza de Armas stunning…but if you want to experience a side of South America which will really take your breath away (in more ways than one) then best you tackle some of the most rewarding hiking expeditions the continent has to offer. Here are the best treks you’ll find in South America. We’ll race you to the top! Peru’s Cordillera Blanca is South America’s answer to the Himalayas, except it’s easier to reach, cheaper to hike and blissfully void of incessant trekking crowds. Plus, there’s much better food on this side of the planet. Want some serious altitude on your trek? You’ll certainly find it here. There’s nowhere on the Western Hemisphere that boasts this many peaks above 6,000 m (16), over an area that’s only 20 km wide and 180 km long. Trek options here are near infinite, and if you base yourself in Huaraz you can even enjoy multiple day-long trips and have the luxury to return to your hotel in the city to sleep every night. But you’re not here to sleep…you’re here to hike! The 8-day long Santa Cruz Trek is best tackled between the months of April and September, when the weather is surprisingly predictable. You’ll reach heights of 4.900 m, set up camps at 4,000 m in altitude, spending an entire week lost in the heart of the world’s highest tropical mountain range. For that iconic Patagonian trekking experience, you really can’t walk past the W Trek (pun intended) within the Torres del Paine National Park. Renowned for its harsh climate, thespian landscapes and sparkling glaciers, Torres del Paine is Patagonia at its spectacular best. The 7-day W Trek has all the hallmarks of the epitome ‘end of the world’ experience: outstanding scenery, dramatic volcanic peaks, soaring condors and unpredictable weather. Perhaps it’s all the hard work which makes this arguably the most rewarding trek in the entire continent. Should the Weather Gods cast their benevolent spell upon you, you’ll be privy to some the most magnificent scenery on the planet. Ironically enough, this is not even the most arduous trek you could do in Torres, as it sticks mostly to the southern side of the Paine massif where the weather is essentially a little kinder. The challenging trek would be The Circuit (aka El Circuito) a gruelling 9-day, 130 km expedition that’s best suited to hard-core trekkers. Put it this way: if Chuck Norris were to take on a trek in South America, he’d definitely pick El Circuito. 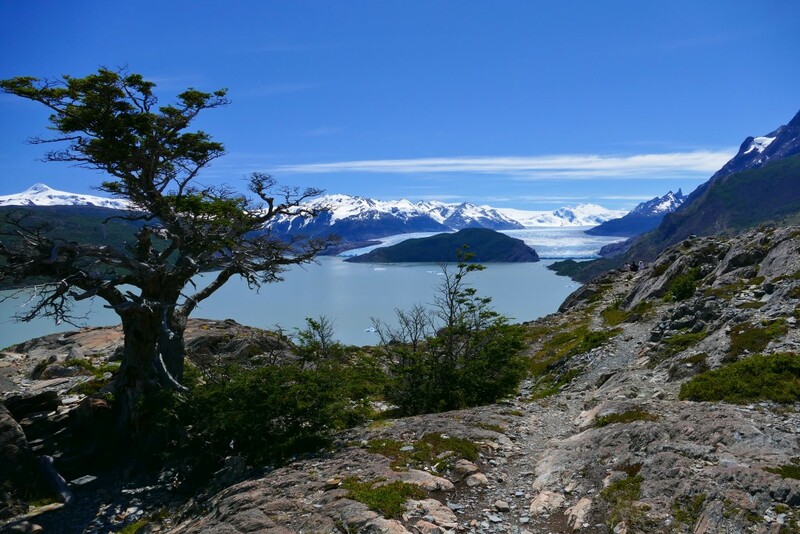 Parque Nacional los Glaciares may be best renowned as a rock-climbing destination, but it also offers innumerable trekking options for those who prefer to keep their feet on the ground at all times. 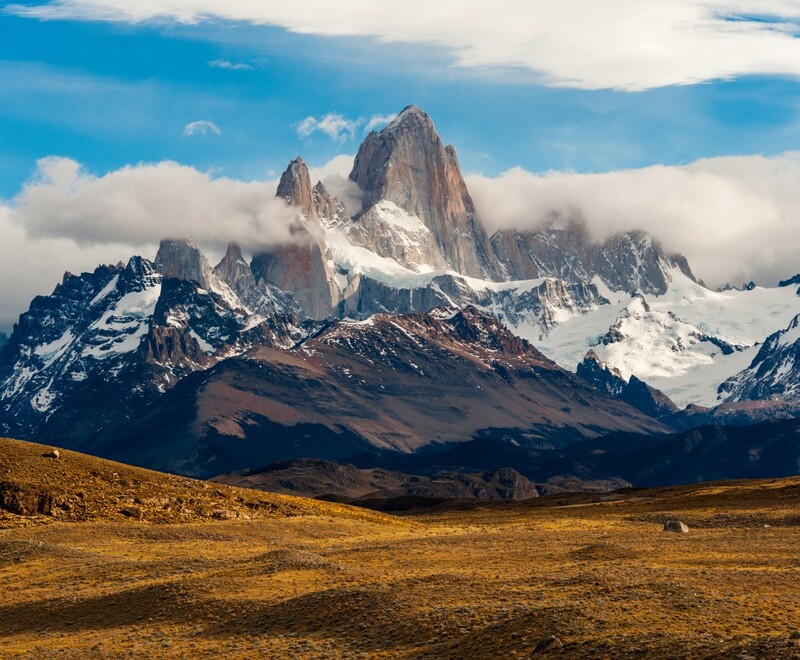 Although there are plenty of highlights in this astounding park, the sparkly crown jewel is Mt Fitzroy, an awe-inspiring granite spire which, along with Cerro Torre, make up the Holy Grail of trekking in Argentina. Base yourself in El Chalten and take on the base circuit on your own. If you’re well equipped you’ll have no problem completing a 4-5 day hike around the clearly marked trail. The sunrise views of a glistening Fitzroy, set against a backdrop of glacial lagoons, is utterly jaw-dropping. Want all the best views without all the hard work? Then join a 7-day Patagonian Glacier Trek and although you’ll be certainly be pouring in some sweat, you’ll have the logistics of your trip all organized. More challenging multi-day treks, which include arduous river crossings across the Continental ice Field in Patagonia, are also incredible options for very experienced trekkers. Mention ‘trek’ and ‘South America’ in the same sentence and most people will automatically think of the Inca Trail to mystical Machu Picchu. 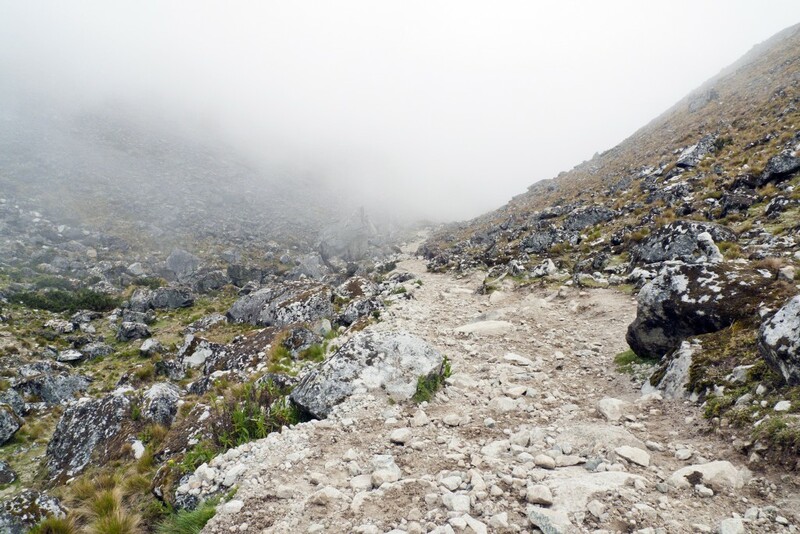 Yet with the Classic Inca Trail needing a fair bit of pre-planning due to limited passes, and the at-times zealous crowds, planning an alternative trek route is a really good idea. Mind you, the Salkantay Trek plays second fiddle to no-one. 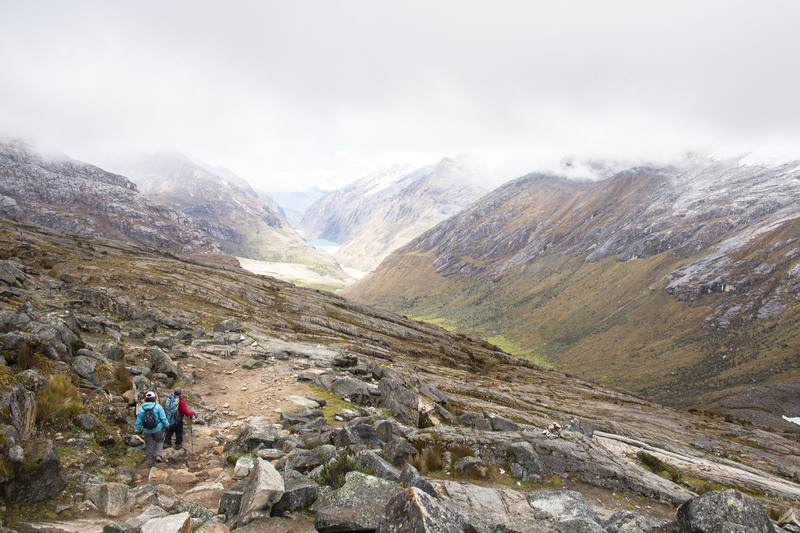 Rated among the World’s Top 25 Treks by the National Geographic, the Salkantay Trek to Machu Picchu is a phenomenal 7-day hike over an ancient path right along the rim where snowy peaks cascade into lush tropical rainforests. A more off-the-beaten-path adventure, this brilliant South America trek is ideal for those looking for peace, quiet and a little more authenticity. Conquering the peak of El Misti is an exhilarating prospect. 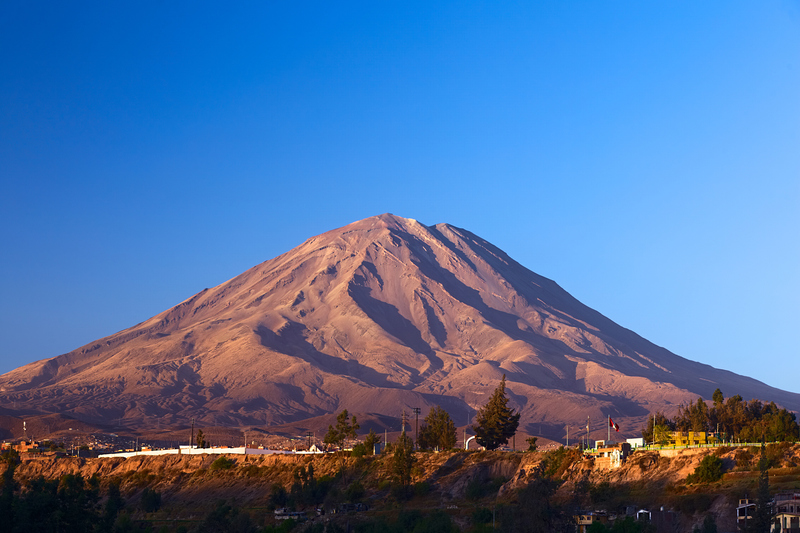 Just a few dozen metres shy of Kili’s record height, this still-active volcano sits at an impressive 5,825 m in altitude and looms over the pretty-as-a-picture town of Arequipa. What makes a hike to the top a very popular option, is that success is more about sweat and tears rather than technical ability. There simply aren’t many options in the world where you can bag a 5,825 m peak with minimal hiking and climbing training and experience. Even non-climbers, if acclimatized beforehand, can achieve this most boast-worthy height. Base camp is at 4,500 m (reached on the first day) and a race to the top should take no more than 5 hours on day 2. Do note that acclimatization is crucial here. This is still a serious height, where even a walk through a park can become impossible if suffering from altitude sickness.